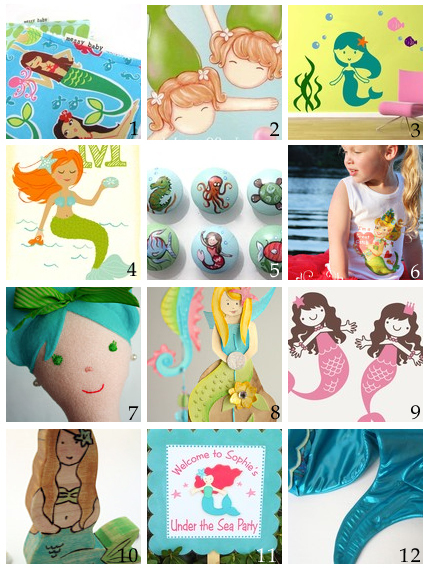 Mermaids are making a big splash in the handmade-for-kids world this summer! From wall decals and art prints to decorate with, to handmade plush and wooden toys to play with, there are plenty of ways to incorporate this fun fantasy into your little ones' lives. They can even live out the fantasy with their very own mermaid tail...how fun is that? Autumn 2011 Issue out now!